One glance at the “before” pictures and you can tell that this backyard space just wasn’t working. There were two small decks that came from two different parts of the house and there was nothing creating unity of space or purpose in between. Before, there was seating on three different levels, but everything was disjointed and awkward. The goal: create multiple beautiful spaces that could be enjoyed by parents and teens that encourages fluid movement throughout. The clients originally started working with a lumber yard that also did some design work, but they lost confidence that the outfit was up to this challenge. One of our designers, Rob, stepped up to the plate and really hit this one out of the park. 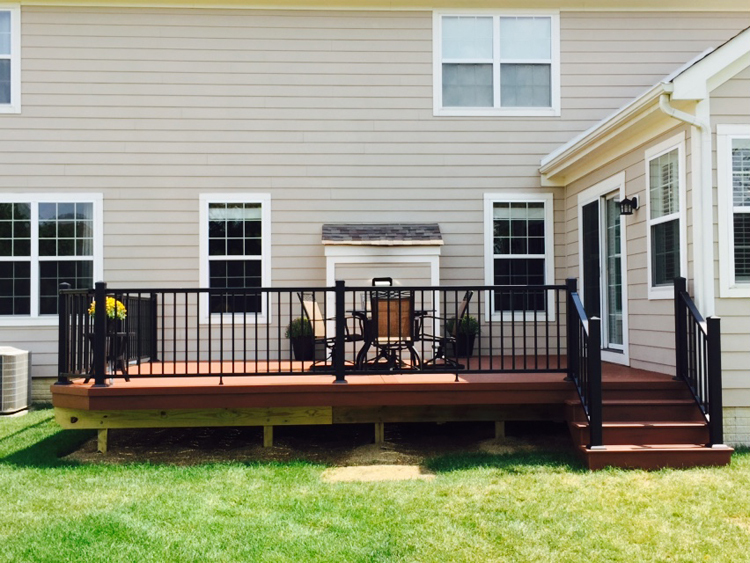 His solution of a covered TimberTech plank porch and multiple levels of Unilock Brussels paver patios hit every point on the customer’s wish list. There are multiple decorative planting circles that create visual interest, define different spaces and give the owners a living creative outlet. 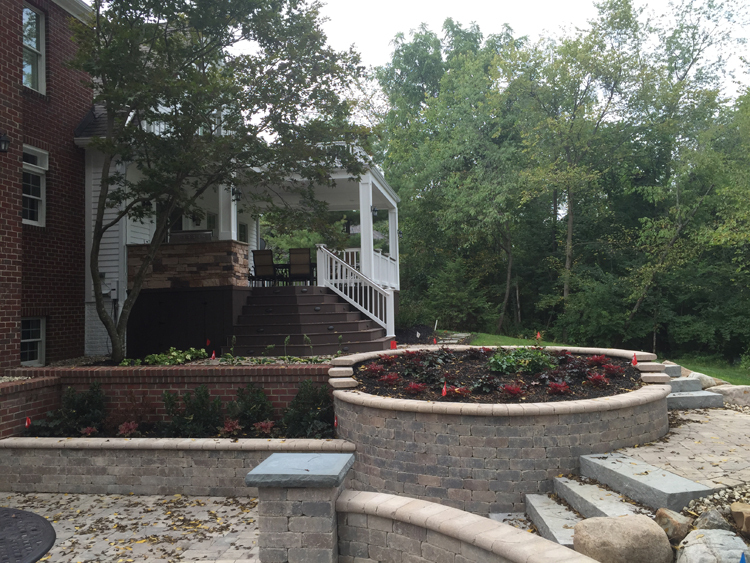 Seating walls provide a casual place to relax and help keep landscaping in place. Gravel beds look decorative, but serve the added function of handling drainage. The fire pit has a gas starter and can burn either gas or wood– take your pick. The built-in grill is right outside the kitchen door and is convenient to inside or out making food transfer quick and simple. Some of the critical details to the success of this project you might never notice; had to do with water management. The design of the patio or deck is what everyone sees. But as an outdoor designer, it’s our job to know about and take care of what everyone doesn’t see. In this case, that was water management. The grade of the yard meant that we had to give lots of thought to water movement. We used a catch basin trenched into the woods to do the heavy lifting. 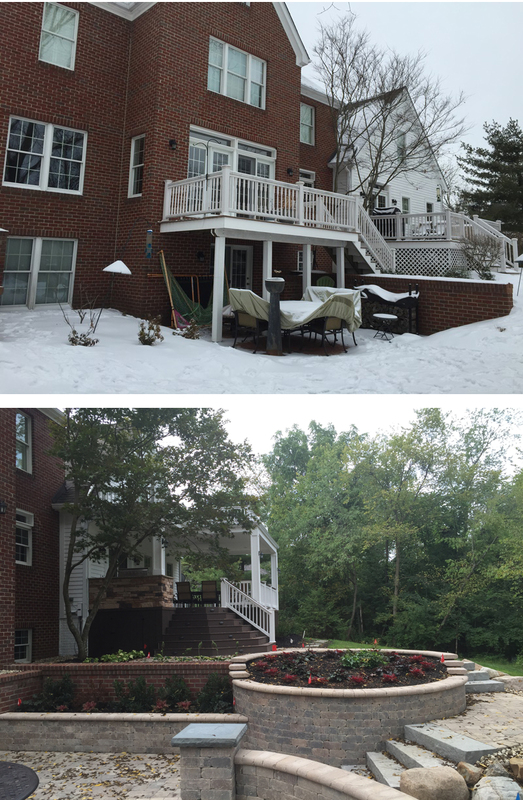 We used a rubber roof system above the porch to handle rain and snowfall. The owners wanted everything to be easy to care for, that included having an irrigation system built in to the landscaping and planters. We also took care of rerouting hot water and dryer venting. We attended to every detail from start to finish. So, if you are ever lucky enough to be invited to a barbecue at this Powell porch and patio combination, make sure you get a chance to admire the huge grand staircase that leads to the landing patio– you might stop at the bistro table there for a drink. Or, if the mosquitoes are biting, use the remote to start the ceiling fan. It does a great job of shooing them away. You might want to play around a bit with the lighting too. It’s on a dimmer and the owners made some very attractive lighting choices, replacing an old sconce and adding some stylish new fixtures. Ask any self improvement guru and they will tell you to celebrate the things you love about yourself and then identify and take positive steps to change the things you don’t. We have a similar approach to assisting our customers in designing their new outdoor living spaces. 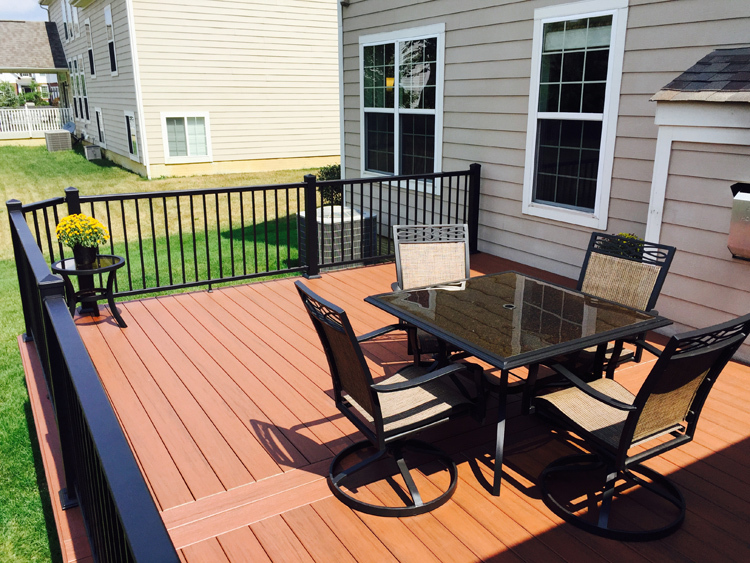 We ask them to tell us what they love about their house and what they want to change to create their fabulous new Columbus deck, porch or patio. 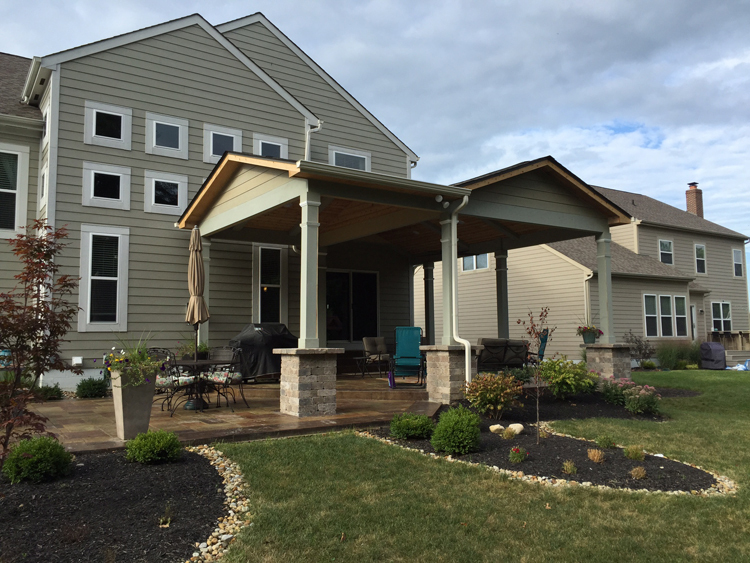 This Westerville porch project had, literally, a good base to start from. The house boasted an existing variegated stamped concrete pad for a patio. The trouble wasn’t the pad, it was in great condition. The problem was the punishing sun hitting the west side of the house nearly every afternoon during the summer. Our mission: create an open porch working around the existing pad that didn’t block the many windows adorning the rear of their lovely home. We opted for a combination gable roof to accommodate the windows. One gable faces the side and one faces the back. Both offer plenty of height to allow for amenities like lights, ceiling fans and outdoor speakers. The vaulted interior cathedral ceilings are beautifully appointed in cedar tongue and groove planks. The owners liked the look of a beam ceiling as well, so we added decorative beams perpendicular to the planks that are painted to match both the exterior of the home and the paulownia-wrapped pillars. We wanted to minimize the number of times that we cut through the concrete pad so that we wouldn’t risk damaging it and could minimize project costs. Our design demanded just seven columns to hold up the entire structure. Of these, only one was drilled through the slab. The pillars were constructed from Unilock in Brussels Sierra. The pillars were important from a practical standpoint because they allowed us to give us lots of elevation for the high roof. From a design perspective, they just look fabulous. They complement the patio as well. I’d like to include a note about paulownia, the wood we used to wrap the pillars and beams. This variety is unfamiliar to many Americans, but it is, in fact, native to North America. It is very lightweight for its strength and easy to work with. It’s also very fast-growing (as much as 20 feet in one year!) so it is highly regarded for being eco-friendly. It is resistant to rot and insects so it is useful for many outdoor applications, but is too soft to use for most horizontal applications like flooring. It was a perfect match for this project and can be painted any color. If you’re thinking about adding an outdoor living space to your Columbus backyard, give us a call to see how we can make creating your dream backyard an enjoyable experience, start to finish. The consultation is completely free. Call (740) 879 – 3730, visit our website at columbus.archadeck.com or email us at westcolumbus@archadeck.net. We look forward to your call. Composite building products grab more than their fair share of the headlines in stories about Columbus decks and porches. This is probably because the industry is always rolling out new products, textures and colors. They also have large companies promoting them: think TimberTech and AZEK. 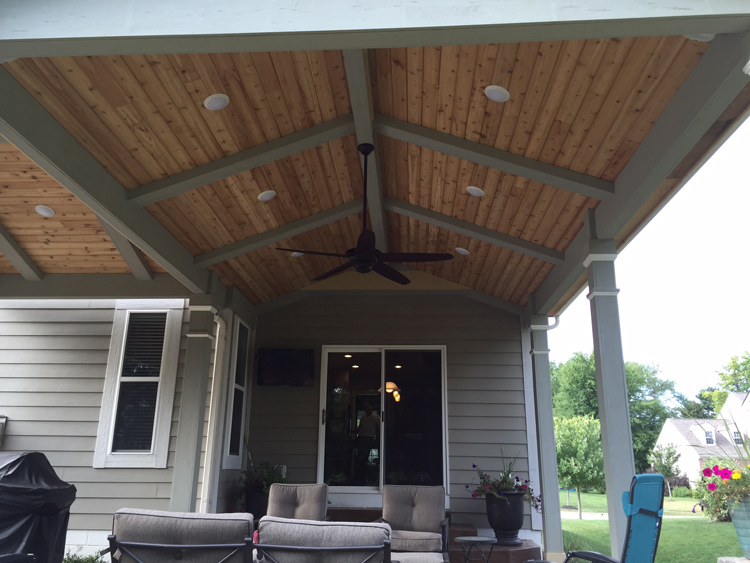 This week I’d like to highlight the beauty, versatility and warm smell of natural cedar as we used it in a screened porch addition. 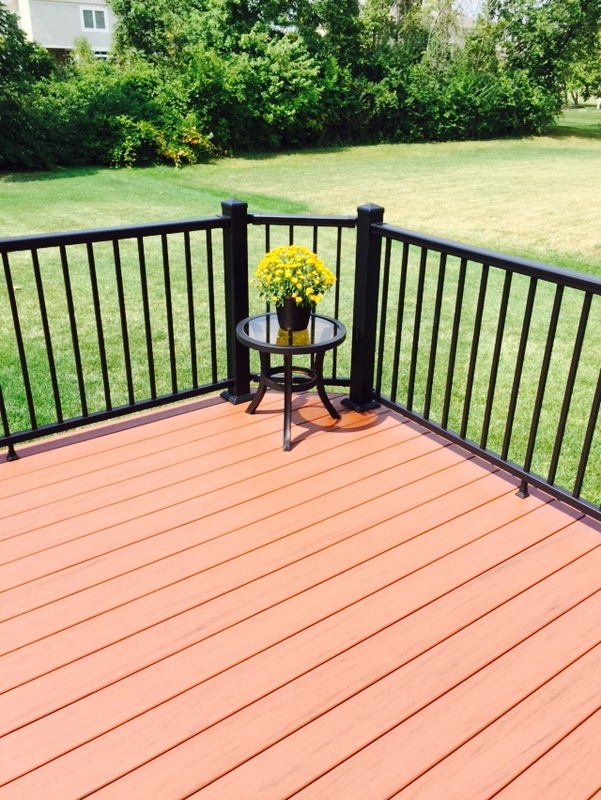 This client wanted to replace an existing deck with a Columbus screened porch that had a rustic look. No other product gives you the combination of traditional rough hewn construction and higher-end sophistication than cedar. The highly sought after grain pattern, color, and subtle scent are pleasing to humans, but discourage insects. 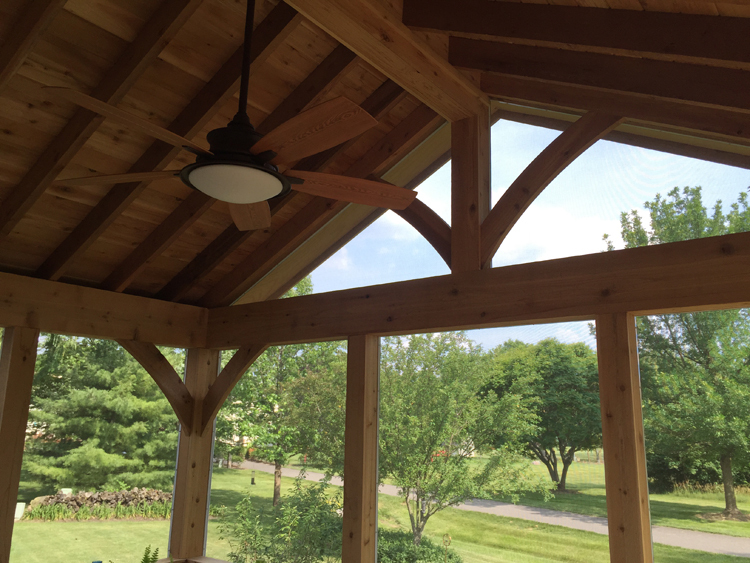 We used the cedar to build an open gable roof with sweeping curved braces and exposed rafters that look elegant while letting in a tremendous amount of light. Another bonus of using cedar on this job was that we were able to pair it with cedar lap siding on the exterior that will be painted to match the rest of the home. There were two design challenges with this job. The first was that we needed to build around an existing chimney, but this only added to the rustic feel of the porch. The other was that we wanted to preserve a bay window on an adjoining part of the house. To do that, we opened up the staircase to the Columbus paver patio just a bit. We also made sure to have a second window facing the bay window on the interior side to keep as much light as possible. The interior of the porch has a knee wall with a drink rail just above it. This combination worked beautifully because their dog Sam can still see outside through the screened gap and guests have a place to put their drinks that is high enough that they are not in danger from a wagging tail. Sam also suggested that we use Screen-Eze in case he gets a little overenthusiastic one day–Screen-Eze has incredible strength and durability. On a cool fall evening, I think the family is going to love sitting around their new fire pit on their Unilock Camelot paver patio (the color is Coffee Creek). There is plenty of space to use the seating wall or pull up a chair. When the weather gets a little fierce, I know they will enjoy sitting on the new screened porch and listening to the sound of the water hitting the rain bell that they installed in place of one of the downspouts–such a delightful touch to the home. You’ll be really disappointed if you built a screened porch that just wasn’t big enough for your needs. Here are our top 7 things to consider first. 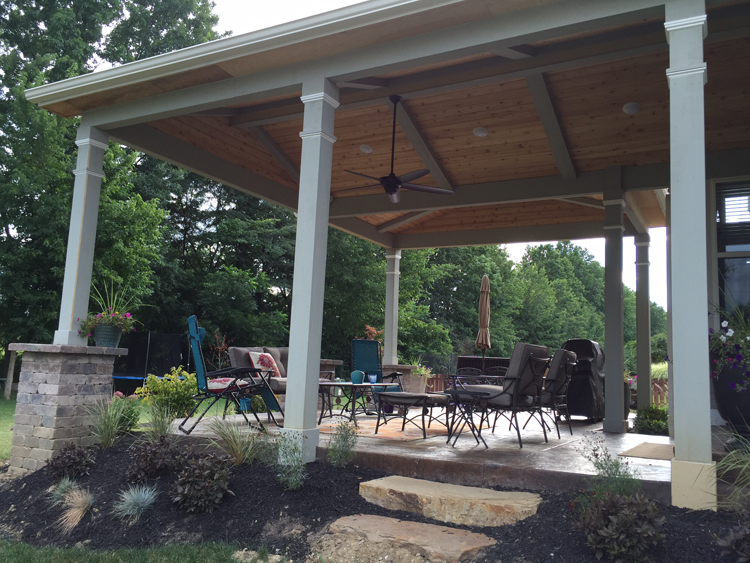 There are many decisions to be made when designing your new screened porch. One that is often not considered strongly enough is size. An extra 2 feet of length, width or both can make a big difference. The last thing you want to do is fill your new screened porch with your new furniture only to realize it doesn’t really fit. Or, you don’t want to try to push your chair back after dinner only to find out you are locking horns with the porch’s chair rail. Below are some general considerations to begin considering the best size. Utilizing your considerations along with our expert recommendations, we will determine the best size to fit your outdoor living needs. 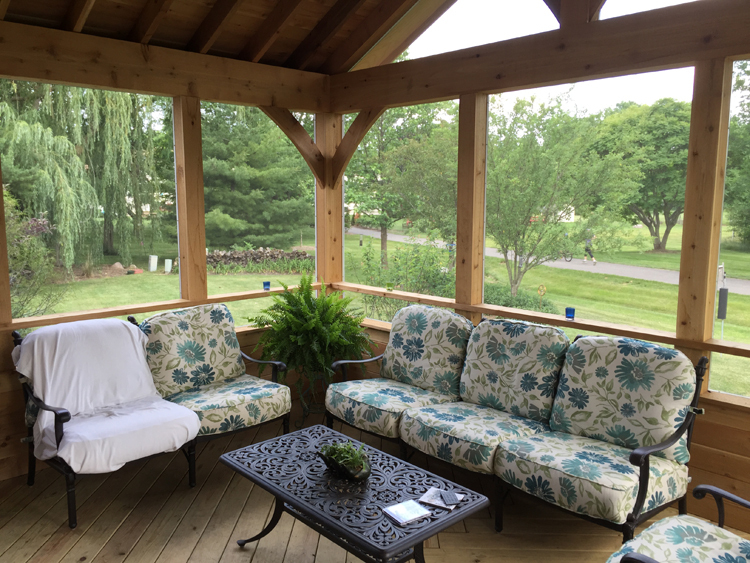 Based on our decade+ of experience with outdoor living spaces, here are my Top 7 details to consider for creating a porch that looks and feels great and is spacious enough to fit your outdoor living needs. #1: Give yourself space to stretch out. Your dining room is the place where you go to sit formally around the table and sit up straight with your feet in front of you and your napkin on your lap. When you want to relax with friends or family after a long day, you head to the porch. That means you need to leave a little extra room to extend your legs or even prop them up on the coffee table. #2 Include comfortable cushions. Again, you don’t need your kitchen or dining chairs to have the kind of softness that you can melt into. Those are utilitarian chairs. You eat, you stand, you go. When you want to spend an hour with a book or entice your friends to stay out past their bedtimes, you want a chair that doesn’t want to let you leave. #3 Plan for the number of guests you will usually have. You can always borrow or rent extra chairs or tables for a large event like a graduation party, but you don’t want to be constantly moving or walking around chairs that almost never get used. Would you buy a pickup truck because you want to haul a big load twice a year? #4 Don’t forget your pets. 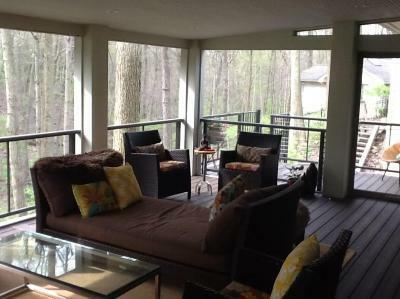 Most Columbus screened porch owners find that their pets are huge fans of their new space. If your pets are going to spend time out on the porch with you or on their own, make allowances for that. 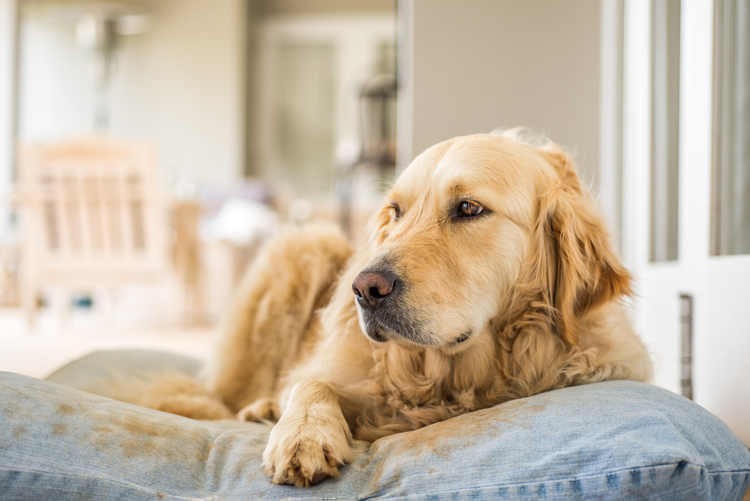 Talk to us about screening options that are pet resistant. And, even if they won’t have their own furniture, leave them a little space to enjoy the porch too. #5 Measure furniture twice. I don’t mean measure it twice because you might have made a mistake the first time. Measure it once by itself and once with a person using it. That Adirondak chair is very hip and attractive, but it takes up much more space while it is being used. Think about your dining room table. You need 2-4 extra feet around the perimeter when it’s being occupied. #6 Use outdoor furniture. I know that the two most popular places to put your old indoor furniture are on the porch and in your adult child’s first apartment, but indoor furniture should really stay indoors (or just send it to its next home). You are already tired of it, it doesn’t have much life left anyway, and it will be terrible to try and clean. Let us show you some of our Casuwel outdoor furniture. It is without peer in its combination of comfort, style, durability, and value. #7-ish OK, while this one is not about size, it was important enough that we wanted to make sure to include it here. Don’t fear the mess, prepare for it. Outdoor living will always be a little messier than indoor living. Bugs, dirt, rain, pollen, muddy feet. You can’t change that. You can, however, use materials and fabrics that will make a huge difference in how your porch and furniture will stand up to abuse and how easily it will clean. Sunbrella fabrics from the Outdoor Living Brands Casuwel line of furniture and umbrellas are the industry standard for beauty and durability. Ask to see swatches from our line: Carnegie Celeste and Astoria Lagoon are just two of the dozens of stylish options available. Author archadeckofcolumbusPosted on June 23, 2015 Categories screen porchLeave a comment on You’ll be really disappointed if you built a screened porch that just wasn’t big enough for your needs. Here are our top 7 things to consider first.